Six international exhibitors have created new works that have drawn from the fantastical creatures illustrated in the 16th-century encyclopedia Historiae Animalium. 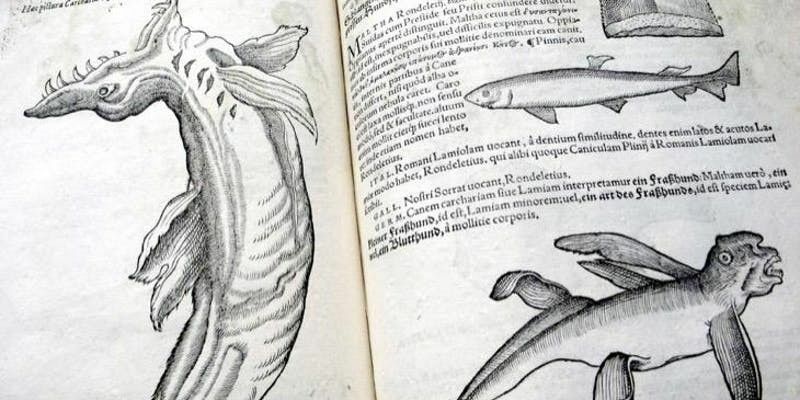 The fantastical creatures illustrated in the 16th-century encyclopedia Historiae Animalium have influenced countless writers and scholars through the centuries, and form the starting point for The Portico Library’s next exhibition, Beautiful Monsters. The book’s author, Conrad Gessner, included actual and mythological animals side-by-side, including many labeled ‘monsters’, with no distinction between the real and the imaginary. Six international exhibitors have responded to this and other volumes in The Portico Library’s collection with new works incorporating drawing, painting, textiles, robotics and artists’ books, considering where the idea of the monstrous sits within themes of history, mythology and 21st century life. Evgenyi Strelkov and Dina Varpahovsky.